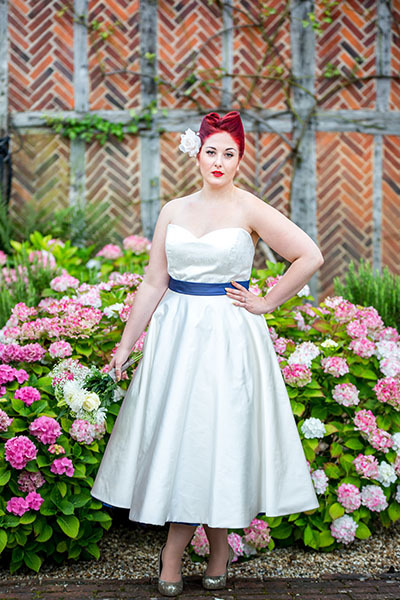 Fifties style bridal and occasion wear shoot at Bix Manor, Henley. 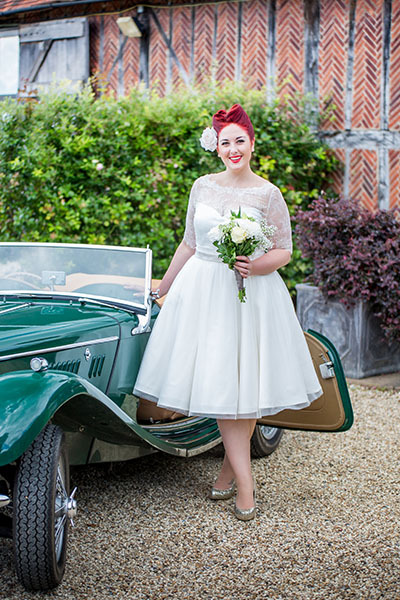 Are you planning a fifties wedding? 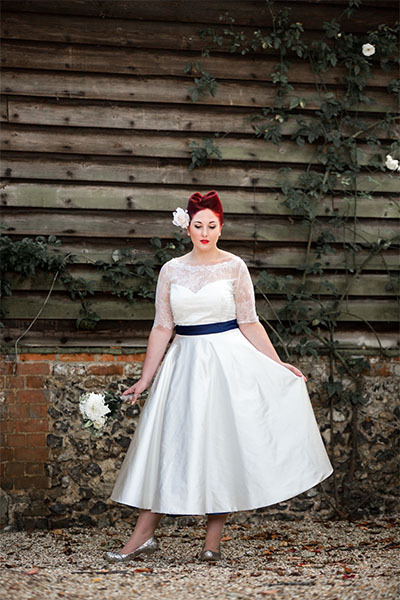 If so, I hope this shoot we did with Alx Visuals will provide you with some inspiration! 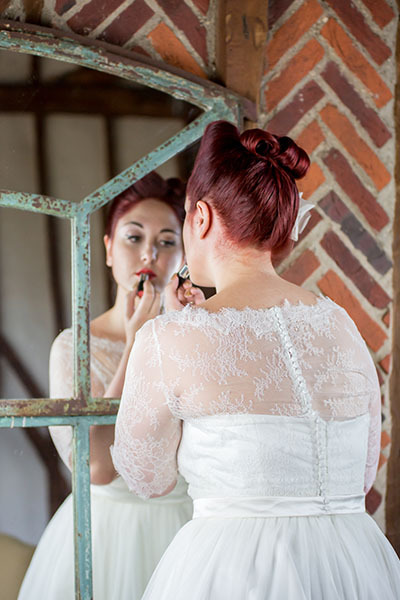 The shoot took place at the stunning wedding venue, Bix Manor, in Henley. 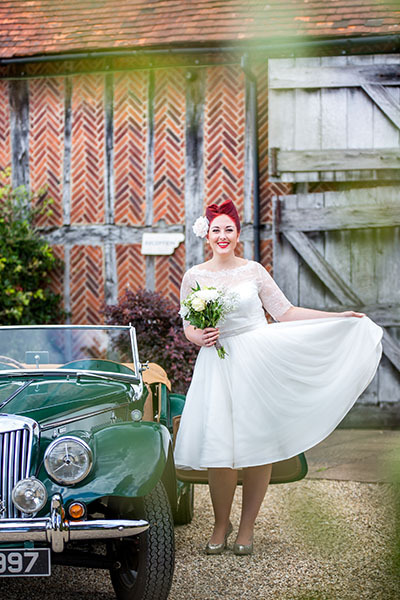 The barn style setting suited the styling of our shoot perfectly, not to mention that 1950s car! 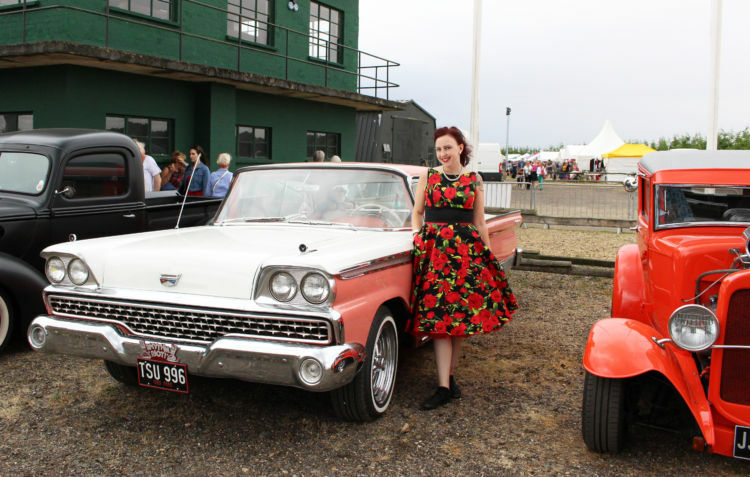 If you look the part, you want to arrive in style as well, right?! 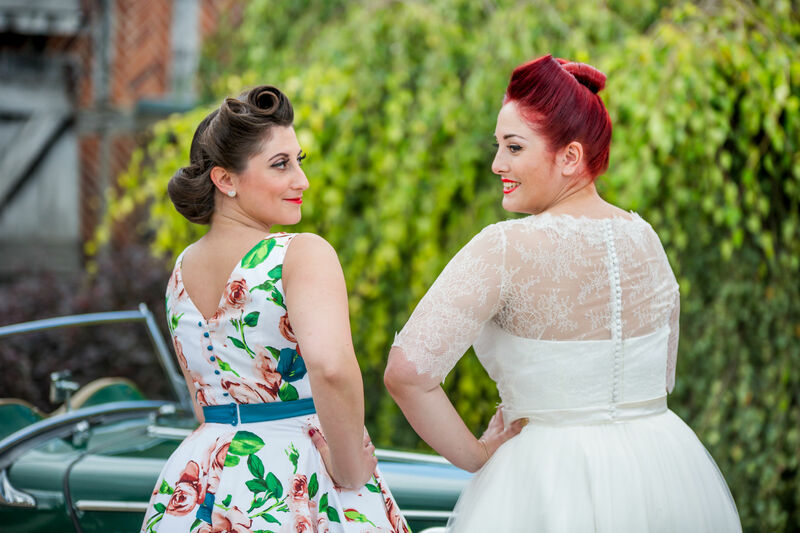 Talking of looking the part, we had Treena of Treena’s Hair & Beauty on hand to create those fabulous fifties hair styles & make up artist Katie Johnson to complete the look with a classic vintage style, on our gorgeous models Kimmy Crimson & Leanne Webb. 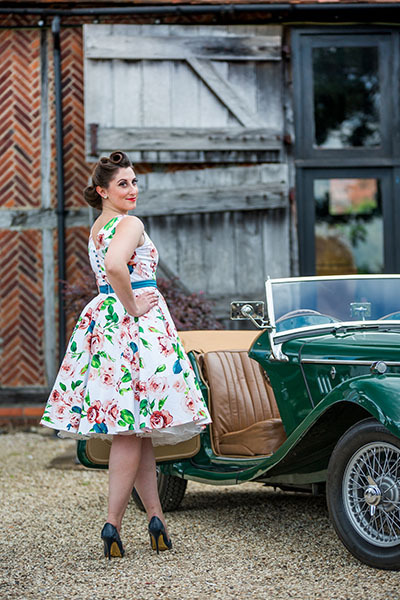 Finally, of course, the dresses; from our new range of fifties inspired bridal and occasion wear, with customisable options, offering an individually styled dress, made to order, just for you. 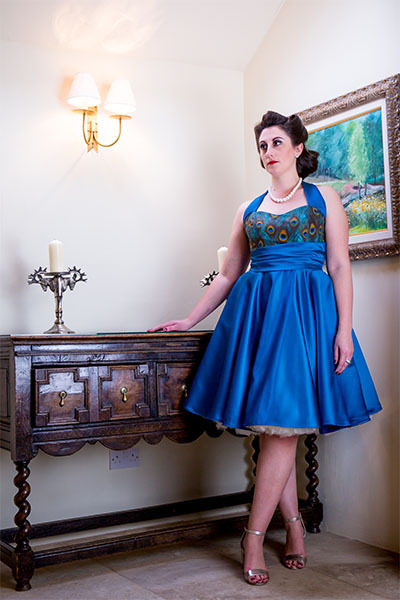 Select your style, select your fabric, select your finish – including different sleeve lengths, skirt lengths, piping, collars, pockets and covered buttons. 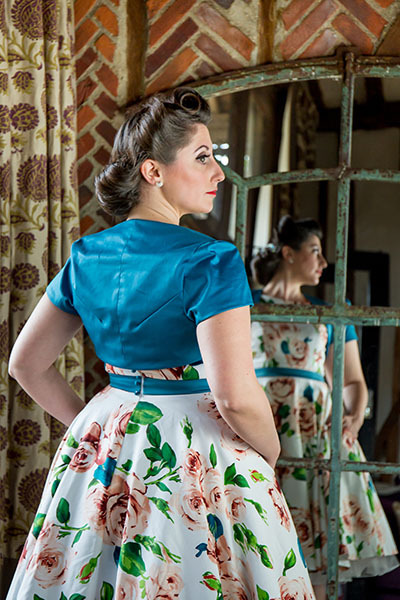 A Louise Rose Couture dress is designed to make women, of all ages, shapes and sizes, feel the best version of themselves. 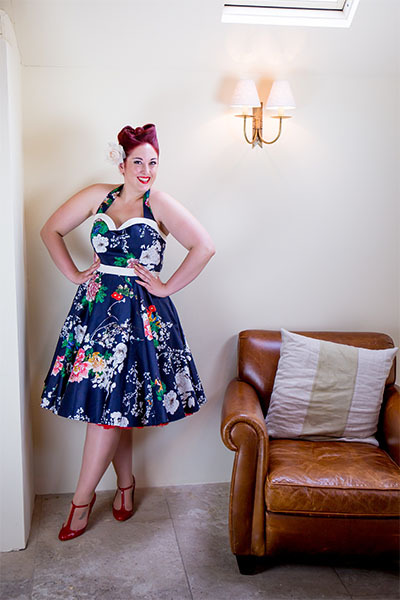 Want to talk dresses? 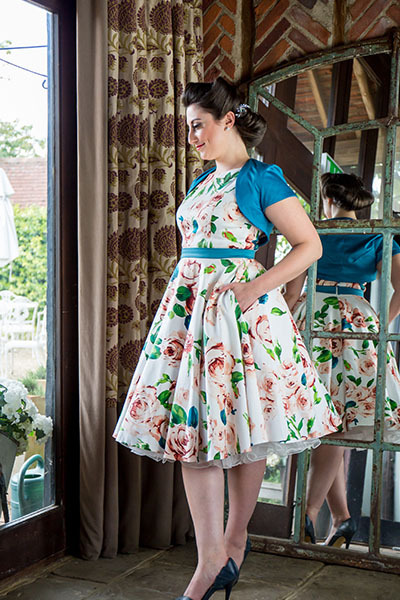 Get in touch, I’d love to hear from you! Enjoy! 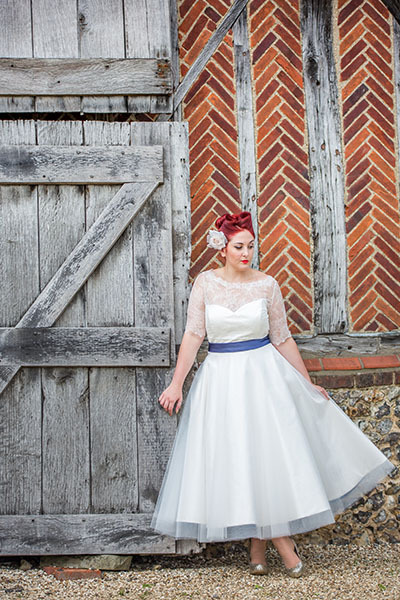 Video & photos, captured by Alx Visuals.